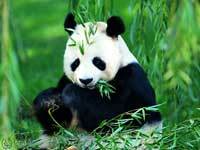 Browse our cheap vacation tour packages special to China from Los Angeles. If you cannot find what you are looking for please E-mail Us or use our search panel on the right to find your perfect choice. What better way to experience the picturesque landscape of China than on a Yangtze luxurious cruise? Come, allow us to take you, your family, friends and colleagues on an unforgettable journey through a treasure trove of heritage, history, natural beauty and spiritual aura. Encompassing many Buddhism sites of China this is a trip for those who want to understand the Buddhism and its influences in China. Drive from the recent capital Beijing, or to the Tibetan Holy city - Lhasa, or just the busy metropolitan - Shanghai, you will find the remarkable footsteps of Buddha! This is a perfect balance of Chinese history and scenery. From culture, architecture, religion, world heritage sites to one of the world's 10 top watery wonders. It will be an unforgettable experience in your life-time! The mythical land of Shangri-La is the novelist James Hilton's fictional account of the legendary Tibetan paradise Shambala. In Hilton's 1933 novel, Lost Horizon, he changes the name of the paradise to Shangri-La. 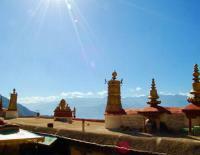 This lost Tibetan paradise we will take you to is a pure land cut off from the world! China is an ideal getaway all year round. Whenever you come, China has something for you. 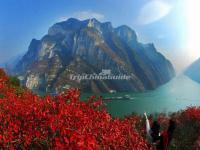 While the best time to visit China is in April, May, September and October. Traveling during these period would be rewarded with comfortable weather and breathtaking landscape, while that also means your travel cost will likely be higher, too. Traveling in other months is also suggested, because you would be rewarded with extraordinary landscape, less crowded attraction area as well as cheap accommodation. In winter, enjoying world-famous ice festival in Harbin and experiencing the spree of Chinese New Year are also what you can not miss. Traveling during this period seems more money-efficient but still travel-effective. Many people plan a visit during high seasons. However it is not always the best choice. During high seasons tickets for trains, planes, as well as accommodations at hotels are hard to obtain, as great numbers of people travel during these times. It is highly recommended to join an organized tour if you must travel during high seasons, as doing so will certainly relieve you from the difficulties of obtaining tickets. • Saving money. In low seasons, the related costs will be much lower than during the peak seasons. Entrance fees, travel ticket prices, and the goods sold in the places of interest will all cost less. • Saving time. Low seasons offer you a more tranquil environment rather than a noisy, crowded place. It may take several hours to take a photo during peak time, while in low seasons you can enjoy yourself in the beautiful scenery without any interference. China is a great country with numerous nationalities and each nationality has their own festivals. Should you be a Chinese culture lover, come during the time the festival you wish to see is happening. Nearly each Chinese festival has its own legend and history. Please explore more details about Chinese festivals and determine your itinerary based on your favorite ones. ·Make a packing list and number them in order of importance. ·Reread you list. Think twice about the "desired or essential" items. ·Try to make the list as short as possible. ·Find related information about your destination and amend your list accordingly. Travel light! Whenever you travel, remember that quality, not quantity is the order of the day. Hereafter are some useful tips for packing. Please read it carefully as it will surely help you. ·Do remember to make copies for your important materials. It is strongly recommended that you additionally store a backup of your information in your email account or other on-line storage. ·Do remember to bring guide and phrase books related your destination. ·Do not pack important items unprotected; put them into a waterproof bag to prevent damage. ·Do not carry too much money all in one place, spread it around your pockets. ·Do not keep your credit card and identification card together. ·Do not take too many reading materials, 1-3 copies is ok.
·Do check the climate of your destination, and then see what kind of clothes you require. ·Do remember to take leisurewear which will keep you relaxed and comfortable. ·Do remember to take clothes that dry easily. ·Do remember to take a waterproof and umbrella. ·Do not take too many formal clothes, one or two is enough. ·Do not bring natural fibred clothing as it is hard to dry and are heavier than synthetics. ·Do not forget to take you toiletries and your personal items such as toothbrush, towel and so on. ·Do not wear military-styled clothing in case of unnecessary misunderstandings. ·Do not take too many electrical products which can be bought anywhere or are provided by hotels, hair dryers for example. It will be a burden for you. ·Do remember to prepare some drugs for emergency use, including Aspirin, vitamins, anti-inflammatory, anti-histamines, remedy for diarrhea and antacid. ·Do take along your medical history (Blood Group, Allergies, and Known Medical Conditions) and keep in your first-aid kit. This may be helpful if you need to see a doctor or become incapacitated. ·Do not carry excessive quantities of drugs; you may encounter problems at China Customs. ·Do not bring a pharmacy, just bring the essentials. ·Roll your clothes instead of folding them or use vacuum bags. In this way you will save a lot of space and provide extra protection for your clothing. ·Put the items your will use regularly at the top. ·Bring several plastic bags with you. You will find many uses for them during your trip. ·Remember the rules on carrying liquids; you may have to remove them at your point of departure.